This podcast was brought to you by By Association as part of The Away End. 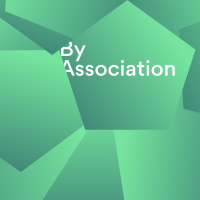 By Association is a narrative football podcast about football and the human connection we all share with the beautiful game. Featuring interesting and insightful short stories about the world game, from personal narratives to club histories and everything in between. Episodes are released on a monthly basis and are hosted and produced by James Parkinson. In July 1936, The Civil War broke out in Spain and the La Liga season was put on hold as tensions grew around the country. Aligning with the Republicans, FC Barcelona were a club under threat. On the verge of bankruptcy, it was the actions of the club’s then manager that saved Barcelona from financial ruin. Irishman, Patrick O’Connell. Maureen: I think what he was able to do was really remarkable, in spite of everything going on in the world at the time. Jason: People looked up to him. He seemed to have this gift of sort of knowing what to say and how to say it. Sue: He managed to keep afloat in a world that was – where nobody knew what was going to happen. When everything could have gone against him, he kept going. James: I’m James Parkinson and this is By Association, a show about football and the connection we all share with the beautiful game. In July, 1936, The Civil War broke out in Spain. Understandably, things like football were suspended. The 1936/37 La Liga season was put on hold as tensions grew around the country. Aligning with the Republicans, FC Barcelona were a club under threat. Shortly after war broke out, a number of players enlisted to fight against the Nationalist uprising and club president, Josep Sunyol was murdered. On the verge on bankruptcy, it was the actions of the club’s then manager that saved FC Barcelona from financial ruin – Irishman, Patrick O’Connell. James: Patrick was born in Westmeath in 1887, before his family moved to Dublin where he grew up. It was here that he developed a real love for football. Jason: I think like many young men around that time he was a street kid. James: That’s football journalist, Jason Pettigrove. Jason: To get the chance to go out and play with your mates in the street with a football, it was obviously something he enjoyed. James: As Maureen O’Sullivan explains, who is an independent member of Parliament in the Dublin central area, the inner suburb of Drumcondra where Patrick grew up certainly had its challenges. Maureen: Obviously the time when Patrick was young it was considered a very, very poor area but certainly there would have been a strong community spirit in the area. Jason: Football really provided him with an escape from what was quite a tough upbringing, quite uncompromising. James: In fact, in amongst playing junior football, Patrick began working in a factory from the age of 14, which was quite common in those days. So the opportunity to play professionally was certainly a way out. O’Connell started his playing career at Belfast Celtic as a Centre Forward. It was also during this time that he married his wife, Ellen, who gave birth to their first son just a few months later. He would eventually be converted to a Centre Half before transferring to Sheffield Wednesday – then in England’s First Division. Jason: By that time he was 22 and he came with Peter Warren, a teammate. It was 1909 in fact when they signed at The Owls. James: The combined fee for both players was just 50 pounds. While at Sheffield, O’Connell only made 18 appearances in three years but in 1912, as his time at The Owls was coming to a close, Patrick began his International career for Ireland. His next club was Hull City, where he spent two seasons and made 58 appearances. But it was his performances for his country in the 1914 British Home Championship that would help secure his next contract. Fergus: Ireland had never won a football trophy but they beat Wales 2-1 at Wrexham. James: This is Fergus Dowd. 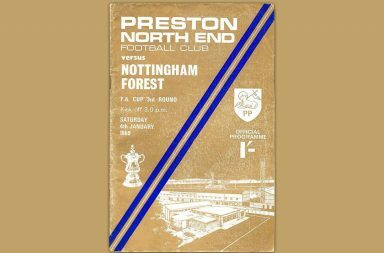 Fergus: They went on to beat England, captained by Patrick O’Connell, on English soil at Ayresome Park at Middlesbrough. They beat England 3-0 and that was the first time that Ireland had ever beaten England. They then played Scotland in the final game of the British Home Championship and Patrick actually played the whole second half with a broken arm. He injured his arm in the first half but there was no substitutions in those days so he actually played on. And Ireland clinched the title with a 1-1 draw against Scotland. James: This was enough to get the attention of Manchester United who paid a thousand pounds for his services – quite a lot of money in those days, which meant United had to pay Hull City in installments. Patrick was appointed captain and scored on debut against Oldham Athletic on September 2nd, 1914. Sue: In those days, as captain of Manchester United, Patrick got 4 pounds a week, which was good money in those days. James: That’s Sue O’Connell, the wife of Mike O’Connell – Patrick’s Grandson. Sue: And I have written the book, The Man Who Saved Barcelona. James: Patrick O’Connell’s time at United wasn’t without controversy. On April 2nd, 1915 in a match against Liverpool, he was accused of being involved in a betting scandal. The game was allegedly fixed for a 2-0 result in Manchester United’s favour, who were fighting to avoid relegation. Sue: And lo and behold, what did they get? 2-0. And somebody noticed that a.) Patrick had taken a penalty and he was very good at penalties, and he missed. James: And there had also been an unusual amount of wagers placed on the match. Jason: If we said there was more than a whiff of suspicion about the game that’d probably be a nice way of putting it. There was an FA investigation. Seven players were allegedly involved, of which three were from United and four from Liverpool. Sue: Something was going on. He probably was involved but he was exonerated. Jason: O’Connell was never charged but there was a sort of bad smell around the match and that lingered for quite a while. Sue: It didn’t do his career any good, put it that way. Jason: After that he only made two more appearances for United which were against Middlesbrough and Aston Villa. And then all footballing activity was suspended because of the war. James: The First World War interrupted professional football throughout England, but some regional leagues were set up in their place. During this time, Patrick actually remained a registered Manchester United player, but in between working in a London factory, he completed guest appearances for non-league clubs, Clapton Orient, Rochdale and Chesterfield. When competitive football resumed in 1919, O’Connell was left to find a new club. Jason: He wasn’t able, bizarrely, to find a single English club that would take him, and that was also despite the league expanding from 20 to 22 teams. James: Patrick then moved to part-timers, Dumbarton in Scotland, making 31 appearances before returning to England a year later to join non-league side, Ashington. Jason: And it was a very sort of working class town. The club was right in the heart of the town and it gave all the working class miners in the district something to look forward to. Sue: And it’s the town where Jackie Charlton, Bobby Charlton and Jackie Milburn came from, or played with over the years. Jason: And that would also be the club where he started his managerial journey. He took over in his second season as player-manager. James: This was an important period in O’Connell’s football career, but it also marked a change in his personal life as his relationship with his family became unsettled. Sue: From 1919 that was it. When the family left Dumbarton and came back to Manchester, there was only one of them that ever saw him again. So his children never saw him, other than one. His wife never saw him again. Jason: For reasons really unknown. I think it perhaps was, if you like, a mini breakdown. He just literally walked out. One day he was there, the next he wasn’t, with no notice or anything. His wife and four kids were just left. James: Patrick remained at Ashington until 1922 as his playing days came to an end, before making yet another move to pursue his managerial career full time. Jason: O’Connell decided he was just going to drop everything, leave his family, leave English football, effectively. And he ended up at Racing Santander in Spain. Sid: There is, I think a slight sense him of wanting to start again, him wanting to perhaps escape. Also though, what I think that does is it gives him a gravitas, a significance and a status that he wouldn’t otherwise have had. I mean it is genuinely a big deal for someone to turn up in Spain who’s been at Manchester United and has been captain at Manchester United. Sid: I’m Sid Lowe and I’m the Guardian’s Spanish football correspondent here in Spain and I work with Spanish and US media as well. This was quite a really big opportunity for him, to go somewhere where people would listen, to go somewhere where he would be treated with respect, to go somewhere he would be considered significant and important. James: O’Connell would spend seven years as manager of Santander, winning five regional titles in the process. He then joins Real Oviedo in 1929 for two seasons before arriving at Real Betis and achieving promotion from the Second Division by winning the league in his first year at the club. Then in 1935, Patrick guided Betis to their first and only La Liga title to date. Sid: When he wins the league for Real Betis he’s seen as untouchable. Quite rightly so, by the way. You know, it’s not just that they won the league in 1935 and you say “well they haven’t won it since”. It’s that no one expected them to win in that year either. They were defensively extremely strong. O’Connell was a motivator that was someone who would encourage players to play with a real intensity, with a toughness, with an aggressiveness, with a desire to win. But clearly he was someone who I think was significant because of the history he had behind him, because of the way that he would be listened to by players and therefore the importance that he would be seen to have from their perspective. James: And it wasn’t just the players that had respect for O’Connell. His achievements at Real Betis were so highly regarded that it forced FC Barcelona to take notice, and he was appointed their new manager for the 1935/36 season. Sid: Now we’re not talking about the Barcelona of now, we’re not talking about a club that big. But we are still talking about one of the biggest clubs in Spain, we are talking about a team that reaches the Final of the 1936 Spanish Cup. We’re talking about a team that aspires to win the league title. We’re talking about, without doubt one of the biggest two or three teams in Spain, along with perhaps at the time, Athletic Bilbao and Madrid, who at the time aren’t Real Madrid, but they’re right up there. And so you know, the very fact that they wanted him I think tells you something very significant. Because, for example you look at other big clubs histories, despite the significance of British coaches, their role is largely starting to drift by the 1930’s in some cases but yet, this is someone whose importance for Spanish football is genuine. James: And that importance was only elevated by the events that followed, when the Spanish Civil War began. Sid: The Civil War breaks out on July the 18th of 1936, basically because of a military coup. But it’s more than just a military coup because it’s a military coup with significant populous support from conservative elite but I think it’s very important that it’s often seen as conservative elite but there’s a very popular base to it as well, a popular right wing base. So Civil War begins basically because the coup fails in the most significant population centres of Spain. So it fails in Barcelona, it fails in Madrid, it fails in Valencia, it fails in Bilbao. In big swathes of central Spain it succeeds. You effectively have, by the time the fighting that the coup provokes has kind of settled, that’s not to say it ends, but it’s kind of settled by roundabout 22nd, 23rd of July, the battle lines are drawn. And there needs to be a way to break the stalemate, and of course the way to break the stalemate after a coup is, unfortunately a civil war. James: Although Barcelona itself isn’t on the front lines, it’s still subject to hardships, including many bombings and the war also provokes a social revolution within the city. Sid: There are a series of different kind of conflicts in Barcelona itself and what basically happens is that Barcelona the club, their first attempt to protect themselves is to effectively do a self collectivisation of the club to prevent anarchist groups collectivising the club. Then what happens of course is that they’re in a situation where there is no football, or there’s very little football. There’s actually quite a lot of football within Catalonia but the league itself stops. James: With tensions building around the country, Patrick returns to Ireland. But in early 1937 he’s lured back to Barcelona when the club receives an invitation – or rather, a lifeline. Sid: They are offered the chance to go across the Atlantic to play a series of games in the America’s. It includes some games in New York, it includes some games in Mexico. The idea is presented to Barcelona by a Catalan exile called Serrano Mas. James: And O’Connell plays a crucial in not only convincing the players to go, but giving the tour legitimacy. The trip proved to be a success, raising the required funds that ultimately saved FC Barcelona from bankruptcy. Jason: You know, Barca’s existence was at stake. And so they played, I think it was six games across both countries and that earned the club somewhere in the region of about fifteen thousand dollars. If O’Connell didn’t take the players and make that money, Barcelona may be around now but they certainly wouldn’t be the Barcelona that they are now. James: In addition to ensuring the club’s survival, O’Connell also put in place a lasting legacy. And the reason I say this is significant is that Ángel Mur becomes the club’s physio. And I would describe him, actually, as kind of a defender of the Barcelona faith. He becomes the kind of confessor to the team, the kind of safe man who’s always there in the dressing room for over thirty years. And then his son, Ángel Mur takes over. In other words there’s this kind of spiritual dynasty, if you like, overlooking the club for the best part of sixty five years. James: Much of the Barcelona squad chose to stay behind following the tour, seeking asylum, while Patrick returned to Spain to see out his contract. La Liga eventually resumed in 1939, but by this time the Second World War was underway. Patrick remained at Barcelona until 1940 before returning to London. But not long after, that same year he received a pardon to go back to Spain, joining Real Betis for a second stint for two seasons. He then switched to local rivals Sevilla for three years and finally finished his career where his Spanish journey started, back at Racing Santander from 1947 to 49. In football terms, his achievements are beyond impressive, but his personal life was just as intriguing. O’Connell’s story doesn’t end here. During his time in Spain, Patrick actually re-married – without divorcing his first wife. Sue: We know that he definitely left, difinitively left Spain in 1954. But around this time we suspect that his second wife found out what Patrick had been up to. Patrick had the unusual situation of being married to two women, both Irish, both called Ellen. The second wife I think was very loyal to him, but when she found out what he’d been up to, she left. Jason: Patrick was known as a bit of a lad by the family, and so in terms of the bigamy it didn’t come as any surprise, because he was professionally successful at that time. If you kept your head down, you got away with it. Which, I mean, it’s not great but that’s just how it was. Sue: And yet, they had this very rosy view of him. He was a wonderful footballer, he was a wonderful man, he always succeeded in everything he did. But, when I started researching his life, I had to find out what was true and what wasn’t true. He looked after his family to a certain extent, he sent money to them, which kept them afloat in very, very difficult times. I suppose when the children got older – and of course they were able to work when they were like 14 in those days, he sort of left. So it disappeared, the money disappeared. James: By the time he returned to London in 1954, Patrick was broke and went to live with his brother. Jason: It was a case of shutting himself off. He decided again that he was going to move on from Spain. He came to London but he had no money. Nobody had picked up that he was an ex-Manchester United captain, a footballer of some standing, a manager of some standing. Sue: And Patrick had to claim national assistance. All that glory and all that success, then living on handouts with his brother. Sid: For someone in that era to end up penniless, it’s kind of not that strange really. In that, you know this is not someone that would have had loads of money stored up. This is not someone who necessarily would have – I mean, would have lived well while he was earning but it’s not like he was sitting on a great big mansion or anything like that. So, it seems so bizarre to us and it seems so wrong to us, but on one level there’s a certain kind of logic to that. James: Patrick O’Connell died of pneumonia, destitute in 1959, aged 71. He was buried in an unmarked grave in Saint Mary’s Cemetery in North-West London. Sue: He’d severed relationships with his family, so his original family didn’t know where he was, didn’t know what had happened. It took me like, a year to find out where he was buried. All the people that could have looked after him, would have looked after him and would have done something about his grave – well they either didn’t know where he was, didn’t know what had happened. Or they were too old to do anything, didn’t have any money to do anything. His brother was Larry. I think he and Larry were close. I think Larry organised the funeral, but Larry didn’t quite get round to putting up a headstone or anything. Probably Larry intended to but Larry died not long afterwards so that was it, it was forgotten. James: And for years, Patrick himself remained largely forgotten in the football world – that was until 2014 when a couple of fans learned of his incredible story and decided to do something about it. Fergus Dowd, who we heard from earlier, attended a fundraiser where he listened to Mike O’Connell speak about his grandfather’s life. Fergus: He spoke for ten minutes, in detail about his grandfather and you could basically hear a pin drop. We were quite amazed at his achievements and what he’d done in football. And at the end of the talk he mentioned that Patrick was buried in an unmarked grave. As an Irish football fan myself I just thought it was shameful, an insult to the man’s memory. James: So, Fergus helped established the Patrick O’Connell Memorial Fund and set about raising money to have the grave restored. Fergus: Our initial idea for fundraising was, we contacted legends of football to see if they would sign jersey’s of teams that they played for and managed – if they would donate jersey’s to help raise funds to give Patrick a proper memorial. The response was absolutely amazing in that, within two or three months we had over thirty five signed football jerseys. James: Names including Oliver Kahn, Johan Cruyff, Luis Figo, Franz Beckenbauer and Roy Keane all lent their support. The dedicated work of the Memorial Fund has helped arrange several other initiatives to recognise the huge contribution O’Connell made to football. Maureen: We had a meeting with Dublin City Council and they were also taken up by the story and they agreed to support the idea of putting a plaque on the house where he did live, across from Crow Park. Fergus: From there we unveiled a mural across the road from where Belfast Celtic was founded on the Falls Road, it was sponsored by Crown Paints and unveiled by our Lord Mayor of Belfast in June 2015. 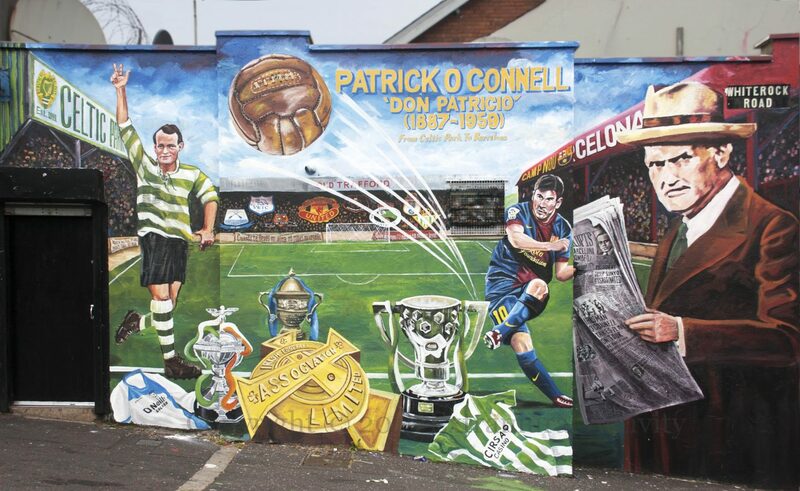 James: In December that same year, FC Barcelona officially honoured Patrick O’Connell before a La Liga match with Real Betis, inducting him into clubs museum. And in April, 2016 a brand new headstone was finally unveiled in a ceremony attended by representatives of the clubs O’Connell played for and managed. It’s a fitting tribute for the man affectionately known as ‘Don Patricio’. Maureen: I mean it’s incredible to think that he was the first Irishman to captain Manchester United, he was the last captain of an all-Ireland soccer team…. Sid: What he achieved at Betis is in sporting terms more significant than what he did at Barcelona, but in terms of social terms and historical impact, then yes, the most significant thing he did was without doubt at Barcelona. Maureen: I think what he was able to was really remarkable, in spite of everything going in the world at the time. Sid: What really comes across is someone who lived and someone who enjoyed life. That’s quite difficult to marry with the realities of the time that he lived. And yet he appears to – and you know that may well be his best coping mechanism – he appears to have lived as if it wasn’t difficult really. And in a way, for me it’s not just about celebrating O’Connell. It’s about celebrating something that matters and through that, it’s about the gesture that you’re making which is to say, let’s celebrate these kinds of people, let’s be thankful for what they gave us. Because who knows what might have happened without O’Connell? But it’s about the human story that lies behind it. Sue: On his private life, I think it’s very sad. But nobody did this – captain of Ireland, captain of Manchester United, manager of FC Barcelona. Nobody did what he did, but he saved FC Barcelona from bankruptcy. He did something special, he did something unique. James: By Association is produced by me, James Parkinson. A huge thanks to Fergus Dowd, Sue O’Connell, Maureen O’Sullivan and Sid Lowe. And special thanks to Jason Pettigrove for his assistance and for bringing this story to our attention. There are so many details and layers to this story that we just couldn’t fit into the episode, but if it’s left you wanting to know more about Patrick O’Connell and his incredible life, I urge you to read Sue O’Connell’s book, The Man Who Saved Barcelona, published May 16th, 2016.